Despite the extremely stable market conditions, which has led many to jokingly dub Bitcoin “the most decentralized stablecoin,” there was one crypto asset that stood out like a sore thumb, posting substantial gains that made speculators rush into a frenzy. This crypto asset, as you are likely aware of, is ZRX, the native digital asset of the 0x ecosystem, which is somehow up 16% in the past 24 hours. So what’s the back story? You might be asking. On Sunday, all seemed normal in 0x’s camp, as the crypto asset held steady around the $0.66 price level, which ZRX traded around over the past week. But, as the day continued, it became apparent that something was afoot, with ZRX seeing an unexpected influx of volume, subsequently pushing up prices ever so slightly. As midday hit, the crypto asset began quite the run, moving from $0.68 to $0.78 in a matter of three hours. After visiting Twitter, Reddit, and other crypto social media channels, it was made clear that there was an obvious catalyst behind this influx in buying volume. As spotted by many cryptocurrency enthusiasts, ZRX appeared on the Coinbase tax gain/loss calculator seemingly by accident, indicating that the San Francisco-based startup is working on support for adding the asset after hinting it would just months before. This news also hit the front page of the official cryptocurrency subreddit, with a countless number of users also claiming that they saw ZRX as well on the aforementioned page. While ZRX’s listing hasn’t been officially confirmed, this is a clear example of the colloquially dubbed “Coinbase effect,” whereas digital assets or projects mentioned by the $8 billion crypto startup see an influx of interest from the common consumer. 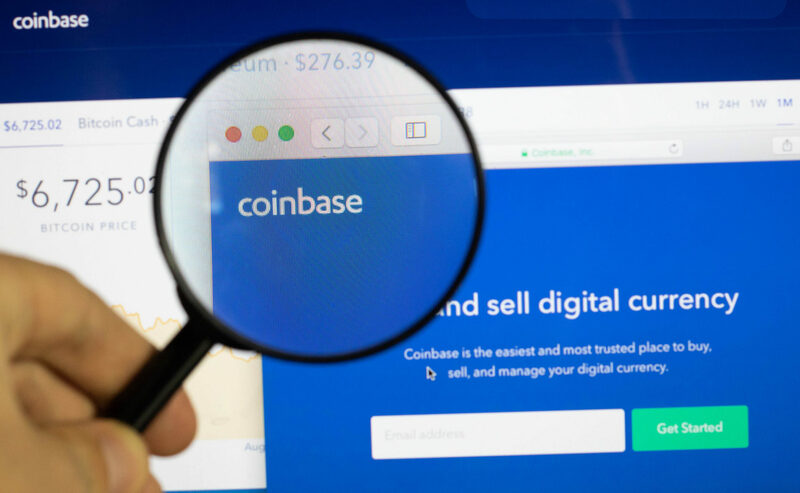 This can be widely attributed to the fact that Coinbase is widely regarded as one of the most well-respected, well-known firms in the entire cryptosphere, with many retail investors first using Coinbase’s exchange/wallet system as a way to interact with the cryptocurrency ecosystem. Think back to the Bitcoin Cash (BCH) debacle in December 2017, which saw the price of the Bitcoin fork surge by over 2.5x in the hours following Coinbase’s official addition of the asset. But then again, this by no means, indicates that the world-renowned cryptocurrency platform is going to add ZRX for sure. Some suspect that this little hint could have been intentional, as Coinbase unexpectedly displayed 0x (ZRX), along with two other altcoins, on its promotional material for Toshi Wallet, potentially indicating that the cryptocurrency is of interest to the startup yet again. This isn’t the only positive news that ZRX has seen, as 0x recently saw former Paypal COO David Sacks join its advisory board, as reported by Ethereum World News previously. Sacks, who runs Harbor, a regulatory compliance platform focused on security tokens, also announced a formal working relationship with 0x that could see the project introduce support for tokens deemed securities by regulators, like the SEC.